The unit is designed as a self-contained plug-in receiver. It is controlled by an open collector output with marker indicator lamps separately mounted in the panel or by EFIS systems. 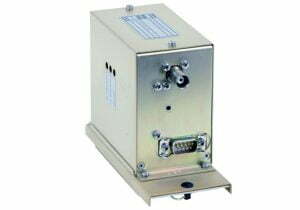 The HI/LO switch provides the receiver threshold to support IFR installations. The unit responds to the latest EASA requirements and the needs of the industry.